FREE box of Chocolates included and available for UK next day delivery! A bouquet that features stems that are truly reminiscent of the season. 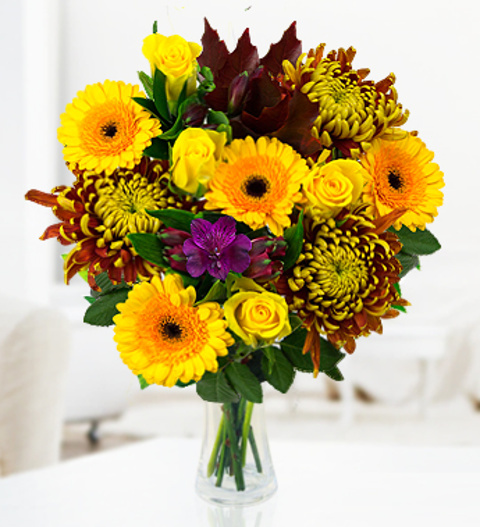 With beautiful Chrysanthemum Blossoms, fragrant alstroemeria, yellow Roses, germinis complemented with oak leaf: this is a stunning seasonal surprise. Expertly hand tied by our expert florists, each arrangement is presented in a stunning arrangement. Chocolates may contain nuts.